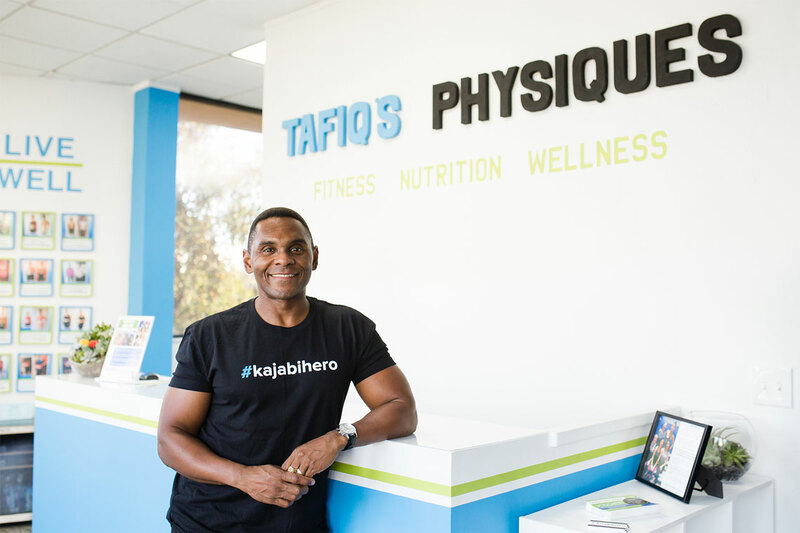 From beauty and business to sports and spirituality...there’s a #kajabihero for it. In fact, if you wanted to get inspired or see ideas for how someone in your niche is currently using Kajabi to run their business, simply click the link here and you’ll see hundreds of incredible examples. Years ago, Kajabi was created to help digital entrepreneurs more easily create, market, and sell their informational products online. Back then you either had to possess some serious skills in programming to code your own solutions, or you had to dish out mountains of money to have it done for you. Oh, how the times have changed. Today using a tool like Kajabi, it’s not only easier than ever to monetize your passion, but far more cost effective as well. By a lot! But along with having access to a powerful all-in-one platform like Kajabi, so too came having access (or a flood of access) to all kinds of confusing or conflicting information on the “right” way to make money online. Do this. Do that. Do everything! In our work with thousands of entrepreneurs, we see “information overwhelm” happening all the time. And this is one of the biggest reasons we started the #kajabihero program. To get back to the simplicity of what’s required to create an online business teaching others what you know and love. One of the benefits of being the platform thousands use to run their Knowledge Commerce businesses is that we only succeed if you do. Since the majority of our revenue isn’t based off selling training, we’re able to give freely and do our best to simplify the truth required in online marketing. That’s the biggest benefit of being a platform instead of a person. Some have children, others have jobs, and some have both...but all juggle multiple responsibilities. Yet something calls within them. Maybe it’s a different kind of lifestyle with more control, freedom of time, or location independence. Or maybe it’s a new standard of living for their family with a dramatic increase in income. They’re busy, accomplished, and capable of making a change. What makes them so special is their committed pursuit of creating that which calls to them. Without excuses, reasons why it can’t be done or quitting when they don’t understand. They know what they want and they move toward it every day. And how grateful we are that these incredible people have chosen Kajabi as the platform to deliver their message out into the world. Because their success is our success, and we like it that way. Hopefully it helps you to see that other people just like you, in possibly the same niche you’re thinking of launching in, are making it work right at this moment. Getting started and creating your first digital product is just the first step to something much bigger. The opportunities are endless as you create different digital products, coaching, events, etc. And Kajabi can help you create, market, and monetize each one of these avenues. We’re here to help you do it the right way and get you there faster than you may have ever thought possible. Sometimes it’s allowing yourself to be ok with how easy it can be and allowing ourselves to get out of our own way and welcome the power of simplicity. Ready to dive into the 3 simple steps you can take right now to launch yourself towards your digital dream business? “Motion beats meditation” was one of the favorite quotes of the well-known copywriter Gary Halbert. Why do you think that is? Why do you think it’s become such an often repeated phrase? Probably because we all resonate at with it at some level don’t you think? We’ve all experienced the effects of paralysis by analysis. Wondering day in and day out if we have the right idea or if anyone will buy our course. Then after finally talking ourselves into it and being right on the edge of taking action, we see someone else selling something similar and the entire thing comes undone. And look, there’s definitely a reality to your situation. Maybe someone actually is more experienced than you are right now. Maybe you really are tight on time. Maybe you do need to think something through again. Only you truly know what’s true for you. But remember: “motion beats meditation”. The lesson in this step is to have a bias towards action, not towards talking yourself out of your own goals or future business. Your imperfect actions right now will undoubtedly do more for you than any perfect inactions ever could. All of our #kajabihero’s are action takers instead of excuse makers. Does that mean you don’t think things through or approach your online business without a practical plan or overall strategy? Of course not. Just like an archer needs a bow, arrow, and something to aim at, so do you. But nothing happens until they release and let the arrow fly. And nothing happens until you act. So what’s your single action you could take today that would make a difference tomorrow? Write it down. Commit to completing it. Then act! Many times when just starting out, looking at how far along someone else already is can be a little intimidating and overwhelming. All of us feel this way at some time or another. 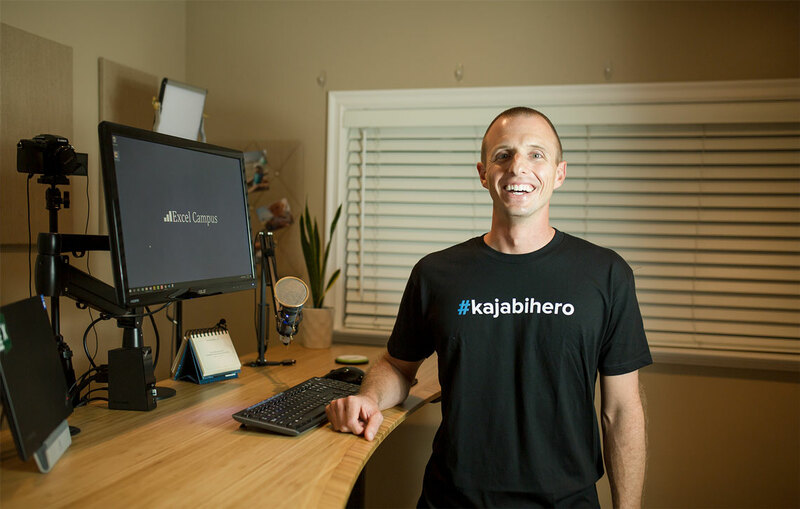 We have #kajabiheros making tens of thousands, hundreds of thousands, and even millions using our platform. They all started with a small first step. Before they had a library of digital products, online courses, membership options, or coaching packages...they had just one. For some, it was an eBook, and for others, it was a single course. So whether you’re just starting out and are in the process of creating your very first digital product, or you’re already a little way down the road, taking the small next steps will move you along faster than simply staring at the peak of the mountain ahead. One foot after the other. One product after the other. One sale after the other. That’s how it’s worked for the #kajabihero’s and it’s exactly how it will work for you. Which should come as great news to you! Instead of focusing on the never-ending business to-do list, take one thing, chunk it down, and start there. Then toss the list out of view because you don’t need it till you’re done. Wondering what you’re website should look like? Spend some time looking through the #kajabihero’s page for ideas or check out all the different templates we offer. That could be your next step. Don’t have an opt-in page created yet to collect email subscribers? That’s next. Or maybe your next step is using a risk-free trial and jumping into the Kajabi platform? Perfect. Do that. You can click this link and get your account set up. The key to becoming a #kajabihero is maintaining momentum. And you do that by small, consistent steps. That’s it! What’s your next small step and when will you take it? Do it and you’ll be moving faster than you ever would standing in awe of the many steps someone else has already taken. Another common roadblock which inhibits online business owners from getting started is a false belief that everything needs to look, feel, and operate perfectly before they take it public. How many times do some of the biggest companies in the world get it wrong? How many times do they release buggy, ugly, or imperfect solutions without really ever being negatively impacted at all? The answer? All the dang time! Are we saying do this intentionally? Obviously not. You should do your best to put the best product you can out at the time you’re releasing it. But from tech giants, sports leagues, and national media...those with the deepest pockets often embrace the powerful reality that imperfect is perfect. As online creators, it’s even more critical for us to embrace this as well. Not only because it will help you make money online faster, but it’s actually in your customers best interest! Imagine if you taught Fathers how to have powerful conversations with their teenage boys. You had your launch scheduled for last week but pushed it back (again) because the design just didn’t feel right. Weeks later you finally launch and almost instantly receive an email from a man on your list. He tells you how just a few weeks ago (the same day you were supposed to launch), he and his son got into an argument and his son ran away. He still hasn’t returned. This man tells you how much he wished he would’ve had your course that night and thanks you for putting something so powerful together. What do you think that customer cares about more? Your design or the result your product could provide him and his boy? Exactly. As you become more and more “ok” with imperfection -- not as the goal obviously -- your ability to market more effectively, create powerful products, and sell solutions to your customers almost instantly goes through the roof! And if you think about it...even the most “perfect” solutions break sometimes. So if “perfection” doesn’t even exist in reality, what if we stopped chasing it? Food for thought Kajabi Family! What it boils down to is this: Becoming a Kajabi Hero is about TAKING ACTION.